More good news! Do Gooder has just helped push Australia’s state and federal environment ministers to take a big step towards a National Container Deposit Scheme (CDS). The proposed scheme for 10 cent refunds on bottles and cans will go a long way to increasing recycling and reducing litter, helping to save the billions of bottles and cans currently being landfilled every year. 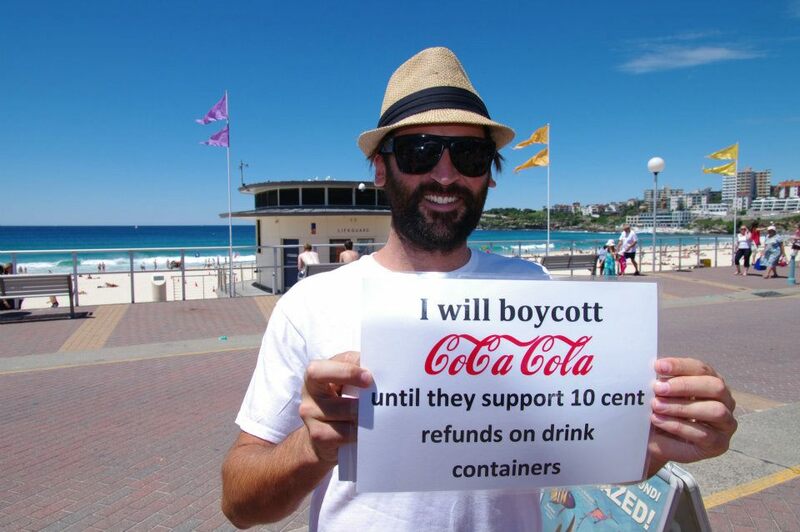 Over 1,600 ‘bloody do-gooders’ sent email to their local MPs through the Say Yes to the Cash for Containers Deposit Scheme campaign, before the ministers met in Canberra last week to thrash it out. It’s been a long campaign with a lot of hard work and many great actions leading up to the vote. So the barrage of emails in the final weeks was just what was needed to help push the ministers to vote for a Decision RIS (Regulation Impact Statement) and finally begin to seriously look at implementing a much needed national container deposits system. Winning Do Gooder campaigner, Candice Landsman, set up her campaign site only two weeks before the big pow-wow on behalf of the Boomerang Alliance, a collection of environmental groups, lobbying for a CDS. "We didn’t have much time, we had two weeks to make a real impact and get the message out there before the ministers met. … It’s stories like this that make us love Do Gooder! Could Do Gooder get your issue over the line? If you have a burning issue, take the tour and start doing good, better.